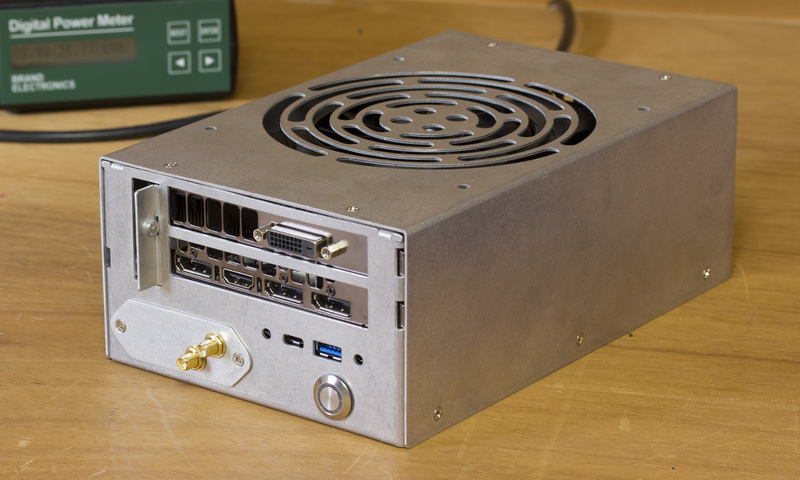 Fear of Palindromes stuffed an entire computer inside a standard power supply box, complete with gaming-class GTX 1060 video card and a (smaller!) internal power supply. While lesser ATX units can't do anything on their own, and must be installed in a case and hooked up to other parts in order to create a functional system, STX160.0 is entirely self-contained, fitting within it's case both the power delivery subsystem, and a full gaming computer! Here we can see that despite the somewhat large size compared to other ATX units, there is not a bit of wasted space. ... In order to fit within the 150mm width of the ATX form factor, a Mini-STX had to be used, this particular one being an ASRock H110M-STX.